4. You have a love for the lost and have always wanted to become more active in personal evangelism. 5. You don’t have to leave your job, take a vacation, go to seminary or raise thousands of dollars to share the Bible, pray, or conduct personal ministry with real people. 6. Any Christian using the Internet can do it — students, teachers, stay at home moms, pastors, business executives, farmers, doctors, soldiers. 7. Training is not difficult and can be done online from home on your own schedule. 8. You don’t have to know who is open to the gospel. 10. You don’t have to be quick on your feet or an expert in evangelism. You will have access to outstanding resources to help you respond like 226,018 Bible Questions Answered! 11. You will guide new believers into doing online Bible studies individually or encourage them to join a weekly online small group Bible study. 12. You will have the privilege of praying for those who are struggling and others who haven’t yet learned how to pray. 13. In your lifetime you would never be able to physically impact the amount of people you can reach online. 14. You will join a community of workers doing online ministry from all over the world…exchange online evangelism techniques, share stories of God at work and pray for one another. 16. It’s a way to balance out recreational uses of technology with redemptive ones. 17. It’s safe! No one sees your e-mail address and no one can send you spam. It only takes a few minutes a day to respond to an email inquiry. 18. It’s one of the most cost effective evangelism approaches ever developed. 19. You will deepen your own understanding of foundational truths and strengthen your confidence for talking about your faith with others. 20. The world is increasingly online and you believe the future of ministry must include some form of digital missions to stay relevant. 21. You could be the catalyst for getting others involved in online mission work. 22. Your pulse quickens at the idea of partnering with media ministries using cutting-edge technology to share the gospel worldwide through video, text, and mobile phones, in multiple languages. 23. It concerns you to know that if Christians aren’t online to answer the questions of spiritual seekers and to tell them about Jesus, they are vulnerable to false teachings and other destructive forces. 24. The digital “Roman road” has been built and is reaching into every part of the world. 25. The Matthew 28 mandate, “Therefore go and make disciples of all nations,” doesn’t leave anyone out. 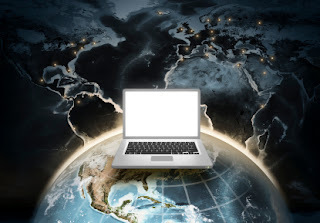 All nations must certainly include the nations and people that can be reached online. Internet evangelism doesn’t replace other methods of sharing the gospel. But, let me assure you of four things as you pray and consider online missions. (1) If you have a heart for the Lord and use the Internet, you can be an online missionary. (2) You will touch real lives. (3) The Spirit will help you respond. (4) God will bless you.